These 10 gift ideas could brighten up your mom's day. Mother's Day is just a few days away, and with all the effort that moms put into making every day special, May 11 is a good time to make her day something to remember. And what better way to start than with the gift? Instead of just picking something up from the store, go for the sentimental and give mom something that will mean just a little bit more than a typical store-bought item. Here are a few out-of-the-ordinary Mother's Day gift ideas. Recreate something with her favorite photo. Most moms love pictures of their family, so take her favorite photo and turn it into something she can see or even use every day. Pictures can be used inside charm bracelets or necklaces, on a coffee mug or even printed on a throw blanket. For the work-from-home mom, customize a calendar, a mouse pad or a note book for her office. Capture memories with a family photo session. Can't think of what mom's favorite photo is? Sounds like it is time for a new family portrait. Schedule a family photo session with a professional photographer at one of mom's favorite places—outdoor locations work best. Make sure she's included in the photos (and that she knows ahead of time so she's dressed for it). Give her an evening out. If your mom works from home, chances are she'd love the opportunity to get out of the house. Depending on what she likes, schedule a spa date, a shopping trip (don't forget to give her some spending cash), or a nice dinner. Plan an evening or even an entire weekend so she can relax. Give the gift of something new. Take that evening out one step further and give mom the gift of learning something fun. If mom is crafty, a great gift that also doubles as an evening out is a fun class that involves painting, pottery, photography or scrap booking. If she loves to stay active, try a ballroom dancing class (it's a nice date night to include dad, too). Make her office space something special. If your mom works from home, chances are she has a small work space. Make her work a bit more enjoyable by giving her an office makeover. Pick out some new organizers and wall decor—or if she likes to shop, take her out for the evening and let her choose. Nothing is more sentimental than letting the kids or grandkids get in on the gift-giving and having them create something special. Here are five more gift ideas for mom that the kids can craft themselves. Bird House. Head to the local craft store and pick out an unfinished bird house and some paint. This is an easy craft, but just be careful not to make a mess with the paint. Stepping Stone. This one is a bit more tricky and requires parental help, but it is a lot of fun. Take a disposable pie tin and fill it with cement. Have the child put either their hand or foot in the middle to make a print, and then add in decorative stones before it dries. Make a few to create a path in the yard. Hand Print Painting on Canvas. Take the art that mom hangs on the fridge up a level and let the kids paint on a piece of canvas, available at most craft stores. To up the creativity even more, use hand prints or foot prints for personalization. Picture Frame. This one is easy too—pick up an unfinished wood frame at a craft store, and let the kids decorate with paint, glitter and anything else that can be glued on. Finish it off with a family photo. Flower Pot. With just a basic terracotta pot and some paint, you can add a sentimental element to the flowers you give mom. Again, this is an easy project, but just make sure to put some newspapers down so the paint doesn't make a big mess. Mom is pretty special, so it only makes sense to give her something out of the ordinary. Gifts like a family photo session, an evening out or something handcrafted by the little ones are great ideas. 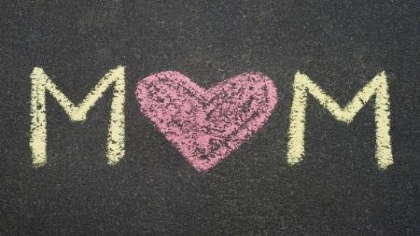 Moms, what was your favorite Mother's Day gift in the past? Comment below to share your family's ideas.